There is an old saying; 'slow down and smell the roses'. Yes, life is very busy and there are times when we attempt to do too many 'things'. We fail to see the beauty of life all around us. I was browsing on GodTube.com and found this video. Please take the time to not only watch the video but the 'behind the song interview'. IMHO, it is as touching as the song. It definitely reminds me to 'slow down'. 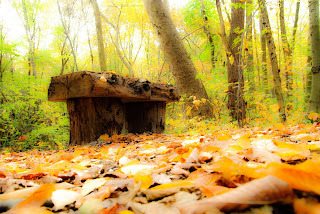 This image was taken at Buttermilk Falls and post processing done in Lightroom 2.1. Life - God's gift to each of us! Fall colors are here to capture!